When I first discovered my love for Science I had just moved to secondary school. I don’t honestly remember doing any science at primary school. It was a shame because it became my favourite subject. All the way through secondary school and on to A Levels where I studied Biology, Chemistry and Physics. Back when I was small there wasn’t opportunities to send children to science classes. Now I have found you can send your children to the Little House of Science and their Classes for Curious minds. Children are natural born scientists and it is never too early to start educating them about science, technology, engineering, and mathematics (STEM). Both girls and boys are curious to learn about the world around them and how things work. We see this from the moment children start to talk. They observe and ask questions. My 5 month old baby girl is already interested in everything around her. It’s funny to see her frown and stare at her toys taking it all in. Children love to ask questions such as why is the sun so bright? How did the stars get into the sky? How do planes fly and cars drive? How are bridges built? How does the fabulous brain work? The questions are endless. What is the Little House of Science? 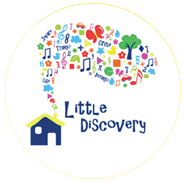 Little House of Science offers project based weekly after- & in- school maths and science workshops for children ranging from 3 to 11 years of age as well as experiential sessions for babies and toddlers from 6 months. They aim to make the classes fun. 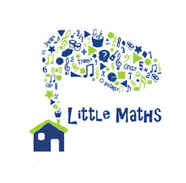 The little scientists get hands-on learning sophisticated maths and science, instead of just watching us make things go ‘pop’ and ‘bang’.They want to help contribute to children’s understanding of how nature and the world around them works. 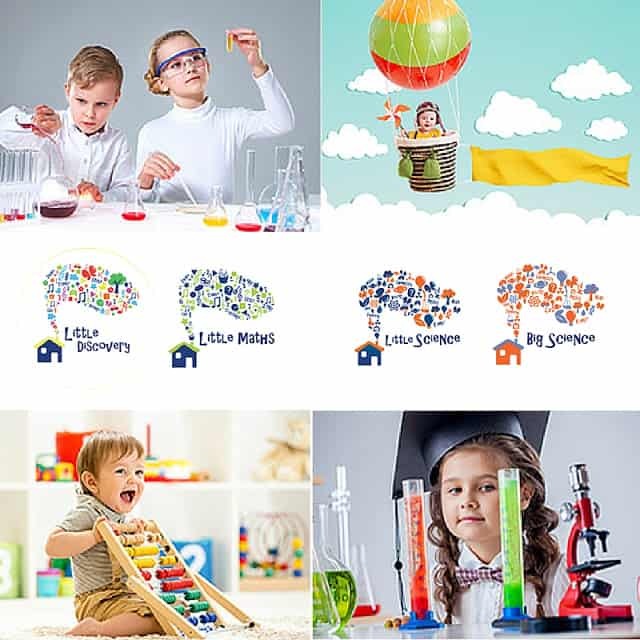 Their reputation has grown quickly as a company and they have a serious interest in teaching the children – making Little House of Science a better choice for parents. 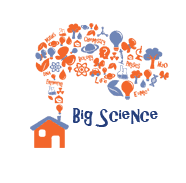 Little House of Science has set up an annual Young Scientist Award together with the Institute of Physics, run the kids section at the annual Royal Society Summer Exhibition and works together with the Science Museum in London hosting joint guided tours. They run a franchise as well which is perfect for people looking to work with children and help little future scientists. A class for mum and baby discovering the fascinating world around us. A new topic is taken each week and it’s explored and investigated through the senses. Babies are introduced to new ideas, shapes, colours, textures and sounds. A class for toddlers learning about how numbers are everywhere. Music, shapes and colours are included as well as quantities and the numbers 1-10. Little Science offers weekly in-school or after school workshops for children aged 3-8 years. These classes help lay the foundations for future academic progress. The children will learn about problem solving, decision making and how to process information. Big Science classes are in-school or after school workshops and focus on expanding the knowledge learned in the eariler classes. 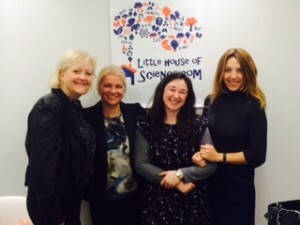 Little House of Science was founded by three ladies in London in 2014, (Veronika Covington, Liliana Crachilova and Elisabeth Keck), who saw the ever growing demand from children wanting to learn more about how the world works! Children who love science and are inspired by it. This led to the birth of Little House of Science. Denise O’Mara is joining the team, having spent her career and education in science and engineering with her last 10 years working in the industry/Engineering sector in the South of England. With two young children, aged 5 and 3, she is ready to bring Little House of Science to the children and families in the area of Southampton. Denise is passionate about Science and education and has always been a big advocate of getting children interested in Science from an early age, so they can have a positive attitude towards maths and science in the later stage of their development. Where Can You Find Classes? 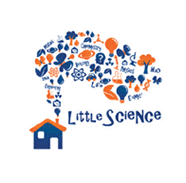 You can find Little House of Science classes in and around London in various locations and also now in Hampshire. They have a timetable with lots of different classes throughout the Summer, Autumn and also Holiday Workshops and parties that they run. Are your children interested in Science? Would you take your little ones to a class?